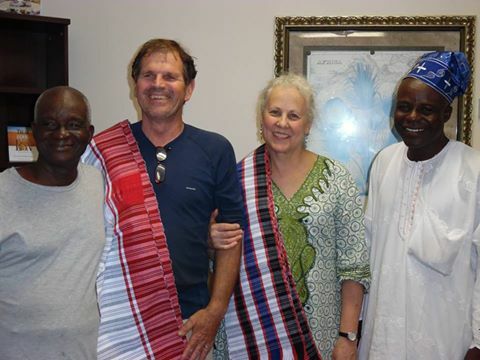 We have now been to Egbe, Nigeria, 3 times in the past 3 years. It’s beginning to feel like home. 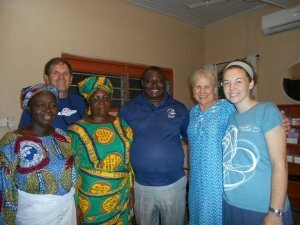 When we were driving from the airport in Abuja, Nigeria, to the guesthouse to spend the night before the full day trip to Egbe, I felt like we were coming home. My heart was content, and everything was so familiar. 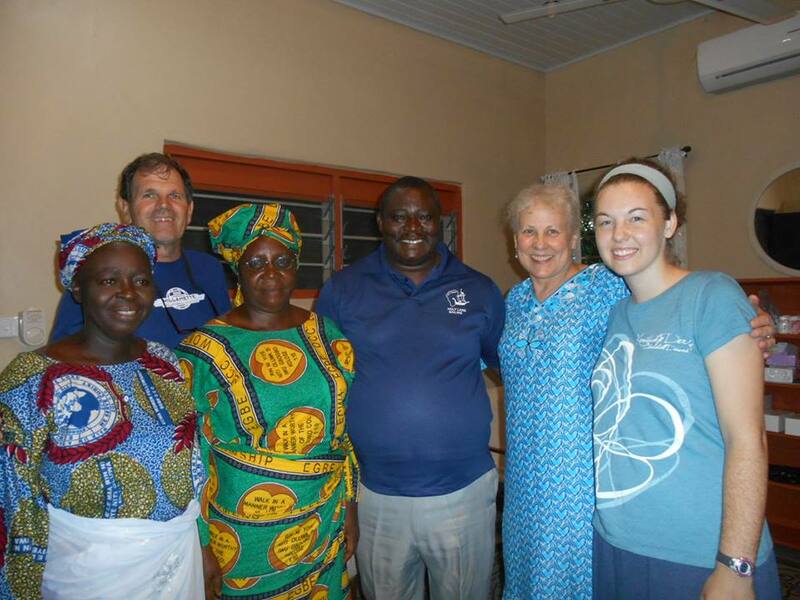 The guesthouse revealed familiar faces and some new ones- Dr. Louis Carter and his wife who were heading home after being in Egbe. 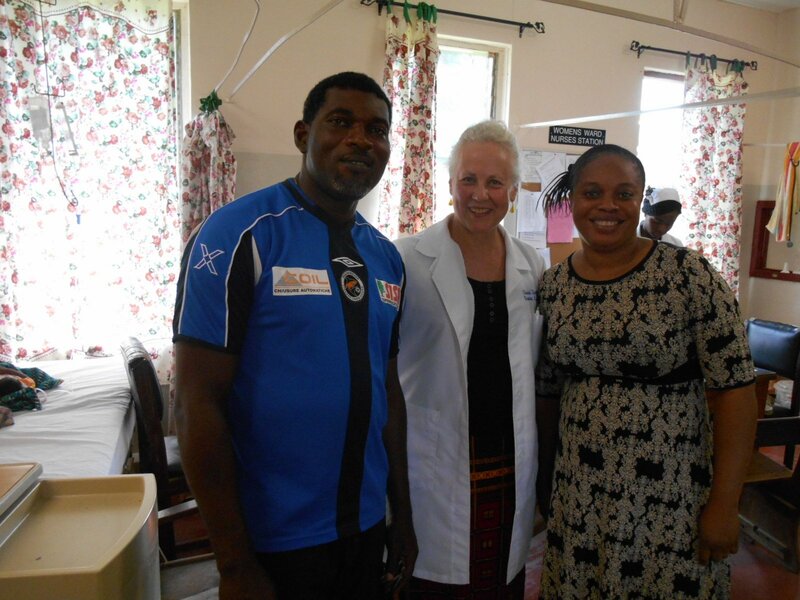 He has served at Egbe since the 1970’s off and on- and has been Medical Director there in the past- a surgeon. It was great to hear his perspective of things now. He certainly has a lot of history with Egbe Hospital- I saw him in a picture from 1978, working in the OR with Mr. Moses who is still there- a scrub tech, who I have great respect for. It was great to arrive in Egbe and see the changes- a new palace is being built for the King of Egbe, there are many new homes and businesses being built as well. Many of the town roads have been paved, that were previously dirt only. 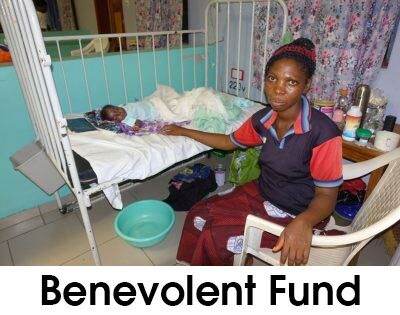 The hospital has been good for the economy of Egbe. There is now a radio station in Egbe, and there are plans to re-open the airport, which closed in the 1980’s. The hospital walls and buildings are a beautiful yellow with red trim. It looks so different from when we first came in 2012 to a crumbling dilapidated complex. I am proud to have seen the changes. There is now running water at the hospital 24 hours a day. The electricity is still the same, off and on continuously throughout Nigeria, but at least the hospital has good generators. The new main building houses the clinic, laboratory, ICU, ER and X-Ray Departments. There is a new digital X-Ray machine that’s gorgeous and a new ultrasound machine that’s nicer than the one I have at my office. The wards are clean and there are sheets on the beds and beautiful patient privacy drapes around each bed. The operating rooms have closeable double pane windows, everything has been repainted, and the air conditioners are working! Central supply is organized, and all the medical supplies that were in the warehouse are in central supply now and organized. I think I have died and gone to heaven! No more hunting through loose cardboard boxes in a dark and dirty warehouse to find the supplies that I need to take care of the patients! 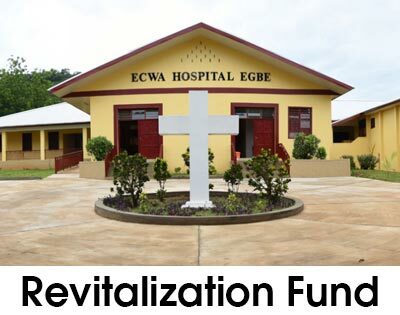 There is still no phone system in the hospital, but there are plans to do something about this, by a man who grew up in Egbe, and is now the biggest telecommunications provider in all of Africa. He is arranging to have a complete system donated and installed at no charge to the mission. Isn’t God amazing! There are 2 full time US Family Practice Doctors at the hospital now, enthusiastic, young and great teachers. They are responsible for teaching the 6 Nigerian Family Practice doctors in Residency at Egbe. 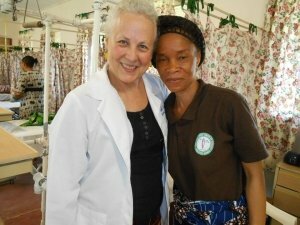 They have a formal teaching schedule and those of us who come for short term medical missions are given lecture topics to give to the residents as part of their training. They and all the mission staff have prayer rounds on Wednesday evening, when we go around and pray and witness to all the patients at the hospital. My husband Mike went with Dr. Stephen Oguntoye one of the Nigerian doctors on the prayer rounds, and personally witnessed to many of the men. Dr. Stephen was a great example of Jesus to Mike and to the patients. He has such an easy way of speaking to them about his love of Jesus. Mike had a much more spiritual experience on this mission trip that what he had known before. Each morning the construction staff- about 80 Nigerians plus the US team would meet for devotion for 30 minutes prior to work, lead on a rotating basis by everyone. The medical staff would meet early as well for a 15 minute devotion prior to starting the day. Started by song/ prayer and bible thought. Some of them were amazing. One really hit me- Dr. Walter Osuagboye gave a great talk about how God uses what little we have and makes it a miracle, makes it something great. Then there were the Nigerian staff, doctors, nurses, lab techs, surgical techs, anesthesia providers, midwives, administrators, pastors, construction workers, guards, teachers, students, etc. ; most of whom we knew from our previous visits. I love their love of life, their strong faith, their endurance, their patience. Life can be difficult in Nigeria. Things don’t always work, life doesn’t always happen the way we would like, but they have amazing perseverance. There is Dr. Joseph, a Nigerian staff physician who will be the next Medical Director, the 6 Nigerian resident doctors and all their spouses and children; most whom we have known from before, but some new. I appreciate their long hours of work and their dedication to medicine, a field that is not reimbursed well in Nigeria. Then of course there are the patients. Many come to see me for infertility reasons. Being barren is a sad thing anywhere in the world, but probably even more so in an undeveloped nation, where most women have their entire identity in being a wife and mother. Some I can help, some I cannot, but I pray for all of them. God can work amazing miracles- look at Sarah and Abraham who had Isaac in their old age; “Isaac”, which means laughter because it was so funny to have a child at her old age. Many come for other reasons as well; cancers, tumors, prolapse, infections, etc. Many come with problem pregnancies. The nurses gave me a list of people who had babies after my last trip who delivered at Egbe Hospital, who I treated for infertility. It is gratifying to see the lives that God has made possible through healing and prayer. There was a woman, 61 years old, the same as myself, who had a large cervical cancer- beyond surgical treatment. I discussed her traveling for radiation and chemotherapy, but it is beyond her means. I asked her if she knew Jesus as her Savior. She said “Yes” and that she was OK with dying. She had lived a good life. I prayed for her that she would not suffer and that Jesus would comfort her in her last days here, and that the angels would take her to heaven in their loving arms to be with Jesus when her time came. We will all die someday. I pray that my passing will be like that as well. I think about her often, how gentle and kind she was. Leaving this time, I know that we will return again. I just don’t know when or for how long. My heart is very much in Egbe, Nigeria. I come to the end of this story, but it continues on, every day, every minute. I am called by God. I will go where He leads me. Here I am.